STERLING, Virginia, USA (December 20, 2017) – GOLFZON (www.golfzongolf.com) will conduct a Closest to the Pin contest and display its new ARCADE Software for alternative game play among other capabilities for its world renowned golf simulator during the Consumer Electronics Show (CES) Show in Las Vegas, NV, Jan. 9-12, 2018. GOLFZON is the only golf simulator company scheduled to be on site and will be located at Sands, Halls A-D, Booth No. 44322 in the Sports Zone, adjacent to Turner Broadcasting. The CES Show, organized by the Consumer Technology Association, is a global consumer electronics and consumer technology tradeshow that takes place every January in Las Vegas. The event drew 184,000 attendees and 4,000 exhibitors in 2017 and expects a similar or greater turnout during the second week of 2018. The Closest to the Pin contest will be held daily from 2-3 p.m., with awards given out soon after. Approach shots on the short, par-3 seventh hole at Pebble Beach Golf Links will be used with each participant getting two shots. All participants will receive two GOLFZON-branded Titleist golf balls and each daily winner will receive an Apple iPad Pro. 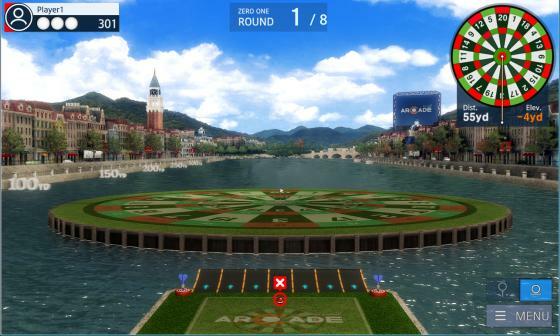 Additionally, GOLFZON will have its ARCADE software (https://www.youtube.com/watch?v=9GnC5FLC7Qo) available for play, presenting golf games such as darts and block golf for alternative ways to enjoy the sport. Videos for Strikezon, GOLFZON’s simulated baseball game, and GolfWith, the company’s golf GPS system, will be shown. GOLFZON’s new Radar Sensor, called “DrivingTalk,” used for measuring various statistics when practicing outdoors on a driving range, will also be on display at the booth. GOLFZON began the first GOLFZON America Simulator Championship in mid-December at affiliated stores around the United States, Canada and Mexico. Winners will be determined in eight categories, with the final results scheduled for Sunday, January 14, 2018. GOLFZON will have a large presence at the 2018 PGA Merchandise Show in Orlando, Fla., Jan. 23-26, with a first-ever appearance at Demo Day on Tuesday, Jan. 23 and two simulators at its Booth No. 3251 on the Orange County Convention Center show floor Wednesday-Friday Jan. 24-26. December 19, 2017, Myrtle Beach, S.C. – Carolinas PGA named Matt Daly of TPC Myrtle Beach Merchandiser of the Year. This award recognizes PGA professionals who demonstrate superior skills as merchandisers in the promotion of golf. The Merchandiser of the Year is chosen for outstanding results as far as merchandising techniques, shop operations, philosophies, innovations and performance. With more than 230 nominations this year, only 10 were selected by the Carolinas PGA Special Awards Committee to receive these honors. Daly led his team to maintain a well-organized and continually updated golf shop, while generating excellent margins and shop statistics. He credits his mentors and experience while working at great golf facilities during his career for the honor. Daly was promoted this year to regional operations manager for South end courses of the FGI portfolio, including Founders Club, Litchfield Country Club, Pawleys Plantation, River Club Golf Course, Willbrook Plantation, TPC Myrtle Beach, and Tradition Golf Club. He had been head golf professional at TPC Myrtle Beach since September 2016 and was previously the head professional at Grande Dunes Golf Club, Myrtlewood Golf Club, and Pine Lakes Country Club. He has held a Class A membership with the Professional Golf Association since January 2006. Daly attended Coastal Carolina University and graduated in 2001 with a Bachelor’s degree in marketing with a specialization in golf management. TPC Myrtle Beach is the only Myrtle Beach golf course to ever be awarded 5 stars by Golf Digest. Ranked among Golf Digest’s America’s 100 Greatest Public Courses, Best In State, TPC has been chosen to be the host site of the 2019 NCAA Division I men’s golf regional. Designed by Tom Fazio, the course gives golfers the experience of PGA Tour-caliber golf. It’s been played by greats including Tom Watson, Gary Player and Lee Trevino. The mission of the Carolinas PGA Special Awards Committee is to ascertain the most eligible winners in each of the annually awarded categories, which is accomplished by an enthusiastic commitment from each committee member afforded the responsibility of identifying and recognizing his or her peers as exceptional. FGI administers www.MBN.com, a leader in online tee time bookings, as well as package outlet Myrtle Beach Golf Trips. With the help of Golf Insider’s 100 percent player-generated course ranking system, thousands of golfers plan and assemble their ideal golf itineraries through FGI’s assets, including “top-100 caliber” courses Pawleys Plantation Golf & Country Club, King’s North at Myrtle Beach National Golf Club, and more than 80 other Myrtle Beach area courses. More information about Founders Group International is available at www.foundersgroupinternational.com, www.mbn.com or MyrtleBeachGolfTrips.com. NEW BEDFORD, Mass. (Dec. 12, 2017) – With the 40-game college football bowl season set to run for three weeks beginning in mid-December, it is estimated 1.7 million fans are expected to pour through the turnstiles and AHEAD has them covered. One the country’s most recognized headwear brands, the company has unveiled new collegiate style offerings from its Team Division, including a vast assortment for men and women from traditional caps, visors and straw hats, ideal for the warmer and indoor bowl venues, to custom knit hats and headbands, perfect for colder outdoor game locations. Founded 22 years ago, the company’s headwear is synonymous with styling, great fit, innovative ornamentation techniques and industry-leading alternative graphics. AHEAD’s offerings of caps and knit hats can be emblazoned with the official collegiate team logo of one’s choice. Ornamentation options abound, Broholm noted, everything from direct embroidery to frayed twill patch. She added the custom heather knit hats, complete with an inner fleece lining, are growing increasingly popular. Customers can choose to knit hats with or without a pom and cuff. Among men, Broholm said, two-tone hats are a hot trend. The collegiate bowl season begins with five games on Saturday, Dec. 16, and culminates with the National Championship Game on Monday, Jan. 8, 2018 in Atlanta. Recently, AHEAD launched its first-ever consumer website – aheadusashop.com – making it even easier for consumers to order their headwear. A key feature of the site provides for consumers to personalize their headwear with as many as two lines on the back center of the hat. For additional information on AHEAD, visit its website at aheadweb.com/. To order from its new consumer site, visit aheadusashop.com. To see AHEAD’s 2018 Team Catalog, visit aheadweb.com/web/guest/team. Founded in 1995, AHEAD is a multi-dimensional brand with a proven track record of success distributing headwear, apparel, and accessories to the green grass, resort and corporate markets. Its single focus of providing quality products, with innovative, high-quality design, and merchandising concepts has led to more than 20 years of continued growth and expansion. AHEAD is a leading supplier of headwear to the USGA, PGA of America, Ryder Cup and numerous PGA Tour events in addition to more than 5,000 green grass and resort shops throughout the world. Among active professional golfers who wear AHEAD gear on the course are Jim Furyk and Brittany Lincicome. Golf legends Jack Nicklaus and ANNIKA wear AHEAD exclusively. CHICAGO, December 12, 2017 – Wilson Staff is proud to announce today the re-signing of two-time PGA TOUR champion and Staff Advisory Member Kevin Streelman. Streelman, who has accrued over $16 million in prize winnings as a professional, first signed with Wilson Staff in January 2011. This extended agreement will see Streelman continue his longstanding relationship with the historic Wilson Staff brand for at least two more years, through 2019. Streelman, a Chicago native, has close ties to Wilson Golf, as the iconic brand maintains its global headquarters in the Windy City. Streelman will continue to represent the iconic Wilson Staff shield alongside 3-time Major Champion Padraig Harrington, 3-time PGA TOUR Champion Brendan Steele, and fellow Americans Troy Merritt and Ricky Barnes. 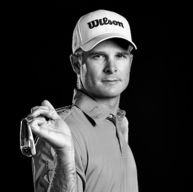 Streelman has played an integral role with the Wilson Staff brand since he signed in 2011, not only as an ambassador, but also as a trusted advisor to the R&D department as they continue to develop award-winning products year in and year out. Streelman will continue to play Wilson’s highly-decorated FG Tour V6 irons and PMP wedges. Chicago-based Wilson Sporting Goods Co., a subsidiary of Amer Sports, is one of the world’s leading manufacturer of sports equipment, apparel and accessories. Wilson Golf is a global leader in high performance golf equipment and uses player insights to design products that push golf innovation into new territories. Through its dedication to creating products that enable athletes at every level to perform at their best, Wilson has earned its place as a leader in sporting goods for over a century. Note: Pros often customize the clubs they use. Consumer club specifications may vary from models customized by Pros for tournament-play. (Centennial, Colo.) – GOLFTEC – the world leader in golf lessons and club fitting, as well as the top employer of PGA Professionals – announces special holiday packages for golfers and gift givers, allowing players to experience the company’s famed Swing Evaluations, Lesson Packs and TECFIT club fitting at a great value. Swing Evaluations include video analysis, motion measurement, a fact-based diagnosis and recommendation of a specific game plan, which includes fundamental elements like course strategy and a TECFIT® club fitting session. A Swing Evaluation and TECFIT session can each be purchased for $125, respectively. While the majority of lessons are taught indoors in private bays, coaches also accompany players for on-course/outdoor lessons to ensure they are comfortable in real world situations. Highly efficient and boasting a 96 percent success rate, GOLFTEC lessons are taught one-on-one by Certified Personal Coaches using proprietary teaching technology. Developing a comprehensive improvement plan for each student is the foundation of GOLFTEC’s philosophy. GOLFTEC has taught more than 7 million lessons at nearly 200 locations worldwide. Committed to strengthening the industry and hiring only the best staff, GOLFTEC coaches are experienced professionals, most of whom have taught thousands of lessons. Each goes through a rigorous multi-week certification at GOLFTEC University, including continued advanced training to master the analysis of golf swing mechanics, the technology of the GOLFTEC system, and the most productive teaching techniques. The world leader in golf lessons and top employer of PGA Professionals has a 96 percent success rate among its students. Since 1995, GOLFTEC Certified Personal Coaches, the vast majority of whom are PGA Professionals, have given more than 7 million lessons. The company operates hundreds of centers worldwide and has a presence in almost all major U.S. cities, Canada, Japan, Hong Kong, and South Korea. All lessons are based on the company’s “Five Factors:” Fact-Based Diagnosis, Sequential Lessons, Video-Based Practice, Advanced Retention Tools, and TECFIT® club-fitting. To date, more than 600 GOLFTEC Coaches work across a global network of Improvement Centers, consisting of both corporately-owned and franchise-owned locations and employees. Los Cabos, Mexico (Nov. 30, 2017) – Golfweek’s Ultimate Guide to Golf Course Living and Great Escapes 2018 has been released, and once again Los Cabos shines on the publication’s list of the ‘Top 50 Courses of the Caribbean and Mexico.’ Nine golf facilities in Los Cabos, the alluring ‘Great Golf – Perfect Weather’ destination situated at the tip of the Baja Peninsula, appear on the list, with six courses in the top 20. Golfweek’s updated Best Courses list is clear indication that Los Cabos has established itself as the undisputed Capital of Latin American golf. No other destination in Mexico boasts as many courses on the elite roster. Ranked at No. 2, the Dunes Course at Diamante is the centerpiece of a 1,500-acre private resort community on the destination’s west coast. Opened in 2010, the Dunes Course is a 7,300-yard behemoth carved by Davis Love III into massive rolling dunes set back from the Pacific Ocean. This windswept, topsy-turvy links, which offers great diversity and spectacular views, rambles past huge blowout bunkers and tufted sand hills on its journey to and from the sea. Chileno Bay (No. 8), a Tom Fazio-designed golf course characterized by graceful, flowing landforms intended to simulate rolling ocean waves, reopened last year with a new landscape scheme and bright white sand in its formal bunkers. The immaculately-groomed course, framed by desert foothills and sandy arroyos, features a sea view from every hole. The back nine builds to a crescendo at the long par-4 18th, which tumbles downhill to a well-defended, infinity-edge green. The otherwise-private club is accessible to guests of Chileno Bay Resort. Querencia (No. 11), another brilliant Tom Fazio creation, is the centerpiece of a private 1,800-acre golf community set in rugged desert foothills high above the Sea of Cortes. Loosely translated as “sanctuary”, Querencia, known for its slick, multi-tiered greens, takes players on a roller-coaster ride across steep hills and bluffs, with several holes skirting the edges of deep canyons and rocky arroyos. Cabo del Sol (Ocean), ranked No. 15 on Golfweek’s roster, is the course that put Los Cabos on the international golf map when it opened in 1994. Intent on producing the ‘Pebble Beach of the Baja’ on what he described as “the best piece of golf property I’ve ever seen,” designer Jack Nicklaus charted grand-scale holes across gently sloping terrain creased by sandy arroyos and backdropped by rugged mountains. Seven holes on this scintillating 7,111-yard layout skirt the Sea of Cortes. The Ocean Course was treated to a major bunker restoration last year. Nicklaus also built Quivira (No. 17), which opened to acclaim in 2014 and boasts more oceanfront exposure than any other course in Los Cabos. Grafted onto a jaw-dropping site at Land’s End marked by huge dunes, sheer cliffs and rolling foothills, this majestic layout, arguably the most daring, eclectic course Jack has ever designed, is an aesthetic tour de force and an unforgettable test from any set of tees. Originally built as a resort course in 1999, El Dorado Golf & Beach Club (No. 18) is now a private resort community under the aegis of Discovery Land Co. The Nicklaus-designed layout, featuring rolling saddled fairways, huge bunker complexes and picturesque green sites, meanders through a pair of stark canyons divided by a huge rocky hill. Four interior lakes and dramatic rock formations frame the holes. El Cardonal at Diamante (No. 23), an inland layout with an “Old California” design motif, marked the architectural debut of Tiger Woods when it opened in 2014. The brawny 7,363-yard course meanders through sand dunes on the outgoing holes. The back nine ascends to higher ground and skirts a series of arroyos. Bold, flashed-face bunkers, reminiscent of the ones built by George C. Thomas at Riviera and Bel-Air in Los Angeles, create strategic options at each hole. Listed at No. 34 on Golfweek’s Top 50 roster, Puerto Los Cabos will likely get a second look by the magazine’s raters next year. The club currently offers two distinctive nines designed by Greg Norman and Jack Nicklaus. Both layouts are etched into foothills of the Sierra de la Laguna Mountains and are perched high above the Sea of Cortes. 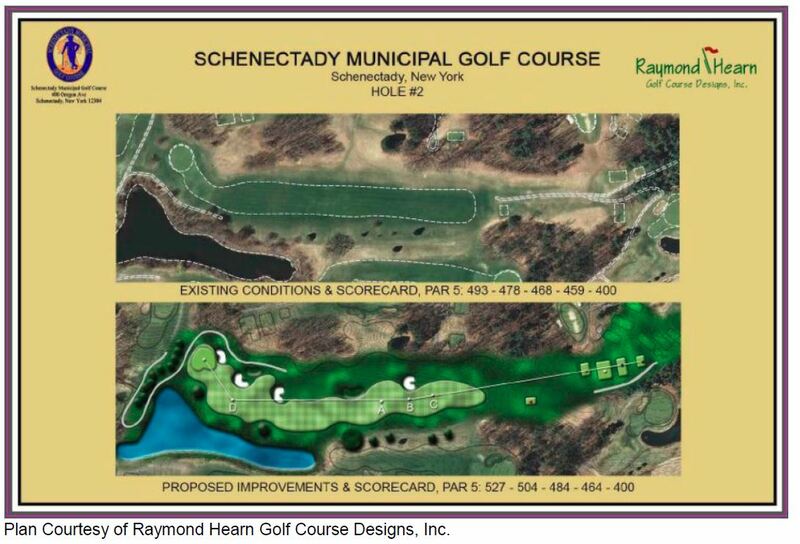 However, a second nine by Nicklaus, slated to open in December, will result in a core 18 of new and reconfigured holes. A second nine by Norman is planned at the 2,000-acre resort community on the East Cape. Perhaps the most underrated venue in Los Cabos is Cabo del Sol (Desert), which is ranked No. 35 on the list. Routed in mountain foothills high above the Ocean Course, the layout, Tom Weiskopf’s first design effort in Mexico, appears airlifted into rugged desert terrain crisscrossed by canyon-like arroyos. All 18 holes serve up panoramic views of the glittering Sea of Cortes. With its enticing blend of long and short holes as well as strategic risk-reward options, the Desert Course, marked by big sloping greens and large sculpted bunkers, presents a classic test and ranks among Weiskopf’s finest designs. reensboro, Georgia (Nov. 28, 2017) – Great Waters, the highly-acclaimed Jack Nicklaus Signature Course at Reynolds Lake Oconee, will undergo a total renovation starting in June 2018, and will involve personal input from Mr. Nicklaus and oversight from his award-winning Nicklaus Design Team. The Great Waters renovation will be led by Design Associate Chad Goetz, who has been with Nicklaus Design for 18 years and is one of the few designers in the world who has earned membership into both the American Society of Golf Course Architects and European Institute of Golf Course Architects. Perennially ranked among America’s Greatest 100 Public Courses by Golf Digest, Great Waters—which celebrates its 27th anniversary this year—will receive a total turf replacement, new greens, bunkers, tees, water features, and irrigation systems, as well as cart path replacement. Drainage and other elements of the course’s infrastructure, plus an assessment of the trees, and the practice facility are included in this comprehensive reinvention of the community’s premier golf course. The Nicklaus layout has stood the test of time and will remain loyal to the original design. Work is to begin in June 2018 with an expected re-opening in Fall 2019. This restoration is the latest in an ever-widening list of improvements made to the golf courses, clubhouses and other facilities since MetLife’s investment in Reynolds Lake Oconee in 2012. “Our desire is to keep the course true to Mr. Nicklaus’s original vision while modernizing the course where appropriate – and prudent – and adding length where available,” said Rabun Neal, president of Reynolds Lake Oconee. Great Waters is a dramatic layout that offers some of the most breathtaking golf scenery in the Southeast. The parkland-style front nine plays over rolling hills and through thick forest, with water in play on six holes, most notably the par-4 fifth, where a creek crisscrosses the fairway and cuts in front of the green; a stone wall and the Nicklaus Bridge add to the hole’s splendor. The gorgeous ninth is the first of the lake holes, the water edging in along the right side of the green. The back nine is a completely different experience, as the final eight holes are on Lake Oconee. Playing on the lake-encircled peninsula, the back-nine holes include the short par-4 11th, where the green juts into the lake, causing left-side hole locations to make the flagstick appear to be floating. The par-3 14th is one of the most photographed holes in the Southeast, its green sitting along the Lake Oconee shoreline. Already recognized among the “25 Best Golf Communities in North America” by GOLF Magazine, Reynolds Lake Oconee is not only fine-tuning one of its world-class golf courses, but is enhancing its long-established reputation as an outstanding place to live. Reynolds Lake Oconee has 117 holes of golf, all designed by legendary golf architects, including Nicklaus, Rees Jones and Tom Fazio. 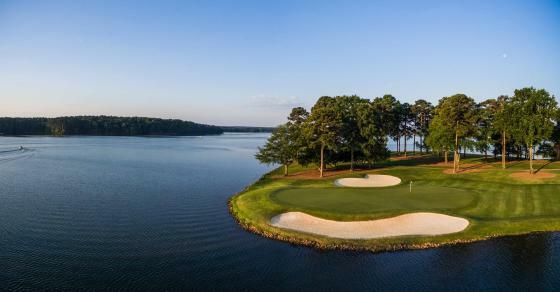 In addition to golf, the Reynolds community offers a wide array of recreational opportunities along the more than 350 miles of Lake Oconee shoreline. Vacation guests at Reynolds can choose from individual cottages within the private gates, while enjoying a variety of amenities. Accommodations also are available at The Ritz-Carlton. A variety of vacation packages are available. For additional information contact Reynolds Plantation Properties at (800) 800-5250, or visit www.reynoldslakeoconee.com. Famous as Reynolds Plantation for nearly three decades and now simply Reynolds Lake Oconee, located between Atlanta and Augusta, Ga., is situated along more than 350 miles of shoreline and featuring six championship golf courses, dining, swimming pools, pedestrian trails, marinas, a tennis center and a wellness campus. The Ritz-Carlton Reynolds, Lake Oconee is a 251-room lakefront resort and spa, which was named a 2015 AAA Five Diamond Lodging and 2014 Forbes Four-Star resort. The community is located about 90 miles from Atlanta’s Hartsfield-Jackson International Airport. For more information, visit www.reynoldslakeoconee.com. Real estate and other amenities are owned by Oconee Land Development Company LLC and/or other subsidiaries and affiliates of MetLife, Inc. (collectively, “OLDC” or “Sponsor”) and by unrelated third parties. Reynolds Plantation Properties, LLC (“RPP”) is the exclusive listing agent for OLDC-owned properties within Reynolds Lake Oconee. RPP also represents buyers and sellers of properties in Reynolds Lake Oconee which OLDC does not own (“Resale Properties”). OLDC is not involved in the marketing or sale of Resale Properties. This is not intended to be an offer to sell nor a solicitation of offers to buy OLDC-owned real estate in Reynolds Lake Oconee by residents of HI, ID, OR, or any other jurisdiction where prohibited by law. As to such states, any offer to sell or solicitation of offers to buy applies only to Resale Properties. Access and rights to recreational amenities may be subject to fees, membership dues, or other limitations. Information provided is believed accurate as of the date printed but may be subject to change from time to time. The Ritz-Carlton Reynolds, Lake Oconee is a private commercial enterprise and use of the facilities is subject to the applicable fees and policies of the operator. For OLDC properties, obtain the Property Report required by Federal law and read it before signing anything. No Federal agency has judged the merits or value, if any, of this property. Void where prohibited by law. WARNING: THE CALIFORNIA DEPARTMENT OF REAL ESTATE HAS NOT INSPECTED, EXAMINED, OR DISQUALIFIED THIS OFFERING. An offering statement has been filed with the Iowa Real Estate Commission and a copy of such statement is available from OLDC upon request. OLDC properties have been registered with the Massachusetts Board of Registration of Real Estate Brokers and Salesmen at 1000 Washington Street, Suite 710, Boston, Massachusetts 02118-6100 and the Bureau of Consumer Financial Protection at 1700 G Street NW, Washington, D.C. 20552. Certain OLDC properties are registered with the Department of Law of the State of New York. THE COMPLETE OFFERING TERMS ARE IN AN OFFERING PLAN AVAILABLE FROM SPONSOR. FILE NO. H14-0001. Nicklaus Design, the global golf course design firm founded by golf legend Jack Nicklaus, is widely regarded as the world’s leading design firm. With a philosophy of working closely with clients, enhancing the natural environment, and creating courses that are both challenging and enjoyable for players of all levels, the company has 415 courses open for play in 45 countries and 39 states. 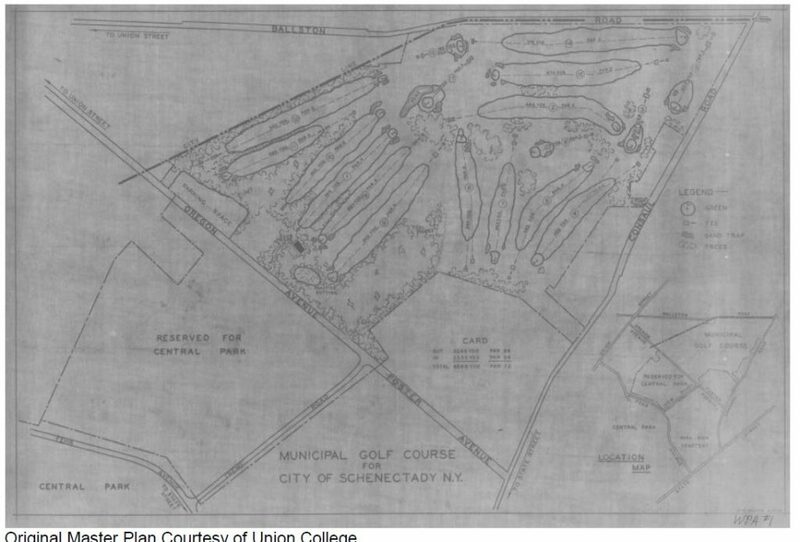 Of those golf courses, Jack Nicklaus has been involved in the design of nearly 300 courses. At least 70 Nicklaus Design courses have been ranked in various national or international Top-100 lists by major industry publications like Golf Digest, Golfweek, GOLF Magazine, and Travel & Leisure Golf. In 2016, Golf Digest recognized 45 Nicklaus Design layouts on its list of the Best Golf Courses in 206 Countries. In the United States, GOLF Magazine counts three Nicklaus Design courses on its list of the Top 100 Courses for 2017-18. More than 145 Nicklaus Design courses have staged over 900 professional golf tournaments worldwide or significant national amateur championships, including events on the PGA TOUR, the PGA TOUR Champions, the LPGA Tour and the Web.com Tour, among others. Nicklaus Design has more courses on the 2018-2019 PGA TOUR than any other firm, including TOUR stops to Muirfield Village Golf Club for the Memorial Tournament presented by Nationwide and the Champion Course at PGA National Resort & Spa for The Honda Classic. TUCSON, ARIZ. November 2017 – The Ritz-Carlton, Dove Mountain has introduced an unprecedented new package for golfers in search of stellar terrain – and the package includes unlimited rounds on 63 holes of world championship match play golf. The resort’s World Match Play Golf Package features exclusive play for two at the prestigious and private Gallery Golf Club and at The Golf Club at Dove Mountain, both located north of Tucson and both home in recent years to pro golf’s World Match Play Championship. Designed by John Fought and British Open Champion/2006 Ryder Cup captain Tom Lehman, The Gallery Golf Club features 36 holes and hosted the WGC-Accenture Match Play Championship in 2007 and 2008 (one of which events was won by Tiger Woods), prior to the tournament moving to The Golf Club at Dove Mountain for six years. The Gallery’s 18-hole North Course has been ranked #1 in southwest Arizona by Golf Digest and is acknowledged as one of Golfweek’s Top 100 Modern Courses. Its heralded South Course has also been nominated as one of Golf Digest’s 100 Best and presents a coveted links style reminiscent of Donald Ross’ Pinehurst #2. Equally lauded for its competitive terrain, the nearby Golf Club at Dove Mountain features 27 holes of award-winning, Jack Nicklaus Signature golf, along with a 45,000- square-foot luxury clubhouse which blends naturally into the majestic saguaro-covered foothills of the surrounding Tortolita Mountains. Facilities and services include professional instruction, junior golf programs, and popular restaurant and bar offerings. Additionally, and new for 2017 — renowned golfer and former European tour competitor Adrian Davies has been named Head Golf Professional for The Gallery Golf Club. Reservations for the Forbes Five Star/AAA Five Diamond Ritz-Carlton may be made online at www.ritzcarlton.com/dovemountain, toll-free at 1-800-241-3333 or through a travel professional. To engage directly with the property, please go to www.Facebook.com/ritzcarltondovemountain. For social sharing, the resort hashtag is #RCMemories #DoveMountain. The Ritz-Carlton, Dove Mountain has been ranked one of the world’s top 100 resorts by Travel + Leisure magazine, and Arizona’s #1 resort by Condé Nast Traveler. The scenic high-desert destination in Marana, Arizona is located north of Tucson and south of Phoenix and is the only Forbes Five Star/AAA Five Diamond property in southern Arizona. Highlights include three swimming pools, one with a 235-foot water slide and splash pad, multiple dining outlets including the top-ranked CORE Kitchen & Wine Bar and Cayton’s Burger Bistro, one of the top-ranked spas in the United States complete with its own infinity pool and tanning island, adjacency to 27 holes of Jack Nicklaus signature golf, exclusive new access to world match play championship golf terrain at The Gallery Golf Club, and the acclaimed Ritz Kids Dove Mountain Rangers program, presenting adventure, cultural and nature days inspired by the flora, fauna and unparalleled Southwestern heritage of the region. Chuncheon, South Korea (Nov. 30, 2017) – Platinum Clubs® of the World has ranked Whistling Rock Country Club in its prestigious list of Top 100 Golf & Country Clubs around the globe for 2018-2019 – one of only two clubs in South Korea included in the rankings. 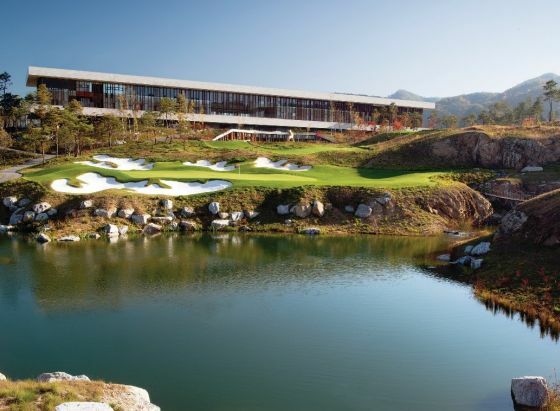 Whistling Rock, a private 27-hole golf club that opened in 2011 in the foothills of the Gangwon Provincial mountains, about one hour northeast of Seoul, is recognized for overall excellence and best practices by an international panel of experts, historians, and connoisseurs. Rankings are compiled by at the Club Leaders Forum every two years through confidential, certified balloting. The world-wide rankings represent 30 countries, a testament to the international diversity of the elected clubs. This year, Platinum Clubs of the World includes 13 new Golf & Country Clubs on the Top 100. The ranking (No. 95) among the Top 100 Golf & Country Clubs comes after recent recognition of Whistling Rock being named the No. 1 course in South Korea by Golf Magazine Korea. In 2016, Whistling Rock commenced a refinement of its core 18 holes, the Cocoon and Temple nines. Eric Iverson, Senior Associate with Tom Doak’s Renaissance Golf Design, was hired to lead the modifications, which focused on increasing variety and pin positions on the greens as well as improving playability on the entire layout. Originally designed by Ted Robinson, Jr., the Whistling Rock golf course is known for its challenging, naturalistic design and rugged mountain environment. Since its debut, Whistling Rock has made an impression on golfers by emphasizing the harmony of art and nature, where design and natural elements blend seamlessly together in consideration of the mountain environment of Korea. Whistling Rock Country Club is owned and operated by Taekwang Group, a large South Korean conglomerate with holdings in textiles, petrochemical, cable television, financial services, and leisure development. The showpiece of the club is its massive clubhouse positioned on a mountain ridge, surrounded by the spectacular golf course carved into wooded foothills. The clubhouse resembles a museum, a place where members and their guests celebrate culture, cuisine, and nature. Paintings and sculptures can be viewed throughout the clubhouse, as well as around the grounds. Reflecting the parent company’s pre-eminence as a wine importer, a prestigious collection of more than 30,000 bottles of wine from around the world, is on display in various rooms throughout the clubhouse, including the dining room, tasting room and temperature-controlled wine cellar. The Whistling Rock clubhouse offers dining experiences from seasonal menus that include Chinese, Japanese, Korean and Western selections, as well as display kitchens and eight private rooms for social and corporate events. The full-service men’s and women’s locker rooms feature plunge pools, Jacuzzis, and interior landscaping. The men’s locker room has a Zen-like bamboo garden illuminated by a large, overhead skylight. On the course, three unique tea houses offer a relaxing stop during each nine holes. The tea houses are sculptural objects and vary from one another, serving as visual icons within the landscape. The teahouses are distinctive, relaxing stopping points where players savor the Whistling Rock golf experience. For additional information about Whistling Rock Country Club, access the website at www.whistlingrockcc.com.